University Centre St Helens undergraduate students, currently in the first year of the FdSc in Media Production, are working closely with local charity, Amputation Foundation, on a multi-media project. Staff and students from the BA (Hons) Fine Art Painting degree at University Centre St Helens are busy planning and preparing an exclusive three-day exhibition, which will be open to the public during the first week of April. 20-year-old Engineering Apprentice, Matthew, is blazing a trail at engineering company CAL International after securing an impressive higher apprenticeship as a Mechanical Engineering Apprentice. 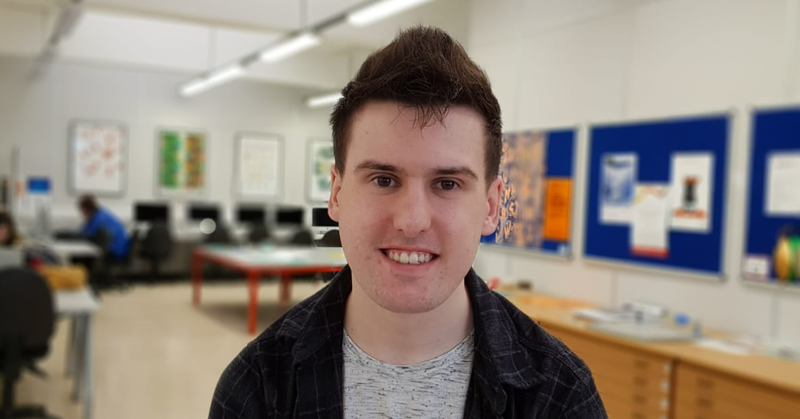 BA (Hons) Graphic Design student, Steven, is making impressive progress at University Centre St Helens and has since landed employment as a Graphic Designer with established company, Kingdom. The National Student Survey (NSS) is a UK-wide survey, giving final year undergraduates the opportunity to evaluate their time at university. 23-year-old Bethany from Liverpool studied A levels at Notre Dame Catholic College, Liverpool, before securing a level 3 Science Apprenticeship with the UKs largest water supplier, United Utilities. FdA Theatre and Performance students collaborate with local café Momos for a Christmas Community Project. "If you have the passion for Computing and wants to study at degree level, don’t think twice! – choose the HNC at University Centre St Helens."